Engineered for Mid Power LEDs. Made of optical grade PMMA. Available in different optical beams. 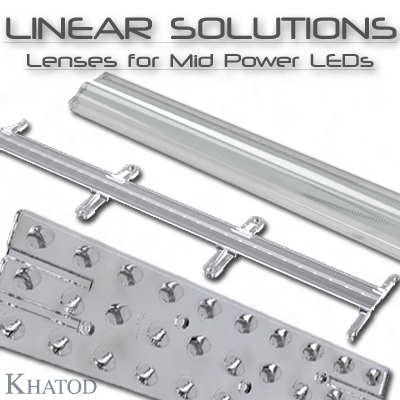 Single microlenses for most popular Mid-Power LEDs, 0.5W. Round shape - Ø 11.95mm - different beam angles. Mounted on reels and compatible with Pick and Place Machines for SMD Components. 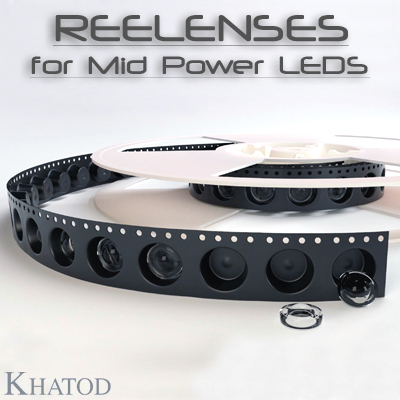 Extremely versatile, the new optical solution from Khatod allows to realize your lighting application exactly the way you want and with a very high reduction of assembly time compared to traditional methods. Result: a very competitive optical solution granting high lighting performance while being a real cost-effective product.